Beauty sleep is essential to looking and feeling great, yet it can be so elusive. With daily stresses and responsibilities turning off the noise at the end of the day can be difficult. A good night's sleep can make all the difference in how we handle those situations, not to mention waking up looking and feeling renewed. No amount of concealer can replace a full 8 hours of deep sleep. When you are tired, you look it! 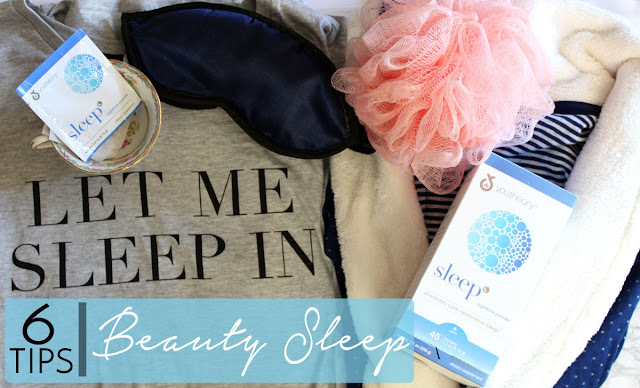 Here are 6 simple ways to get the most beauty benefits from your sleep! A hot bath temporarily raises body temperature which will then later drop cuing your body to sleep. Light some candles and toss in a relaxing scented home made bath bomb. Soaking away all my stressors in a hot bath before bed is one of my absolute favorite things to do at the end of the day. This is also the time I pamper my skin with hydrating skin masks and lotions. Beauty sleep isn't just a myth, the skin repairs itself over night, so make sure to give yours the TLC it deserves. The fibers in satin and silk pillowcases are much more gentle on hair and skin than cotton. The material glides over the skin, meaning less friction between your skin and the pillowcase. It also helps to prevent tangles and breakage in your hair so you won't wake up with crazy wild bed head. Which for me is never beautiful. Also pay attention to the position you sleep in. Sleeping on your back is ideal, lying face down or side ways can cause lines to form. Caffeine is a powerful stimulant that can affect sleep for up to 12 hours. Try to eliminate it after lunch or at least 3 hours before bed time. Enjoy a cup of hot chamomile tea instead. Not only is it incredibly relaxing, it won't dehydrate in the way caffeine and alcohol can. Since becoming completely caffeine-free I have been sleeping so much more sound. I would encourage any one to give it a try, that is if you can give up the pumpkin spice lattes. That part was not easy! No matter how ready I am to hit the sheets sometimes I need a little something to help me along. youtheory® Sleep Nighttime Powder comes in handy on those nights when I just can't get to sleep. It provides broad-spectrum support for occasional sleeplessness. Sleeping was never much of a problem for me up until recently. 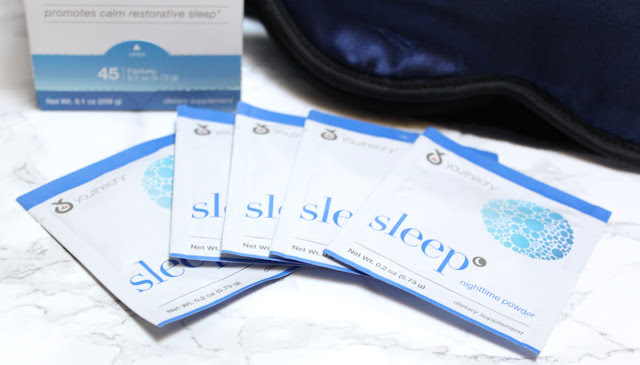 youtheory® Sleep Nighttime Powder has helped tremendously in calming my mind and promoting a restorative sleep on those nights when I am tossing and turning. I mix up one packet in a glass of water about a half hour before bed. The natural lemon lime flavor is delicious! 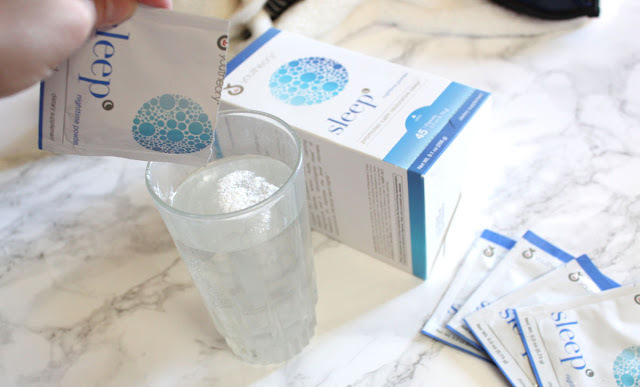 I have been drinking it at night when I am feeling restless and it instantly helps me to relax and sleep through the night uninterrupted. Within 30 minutes the calming effects of youtheory® Sleep Nighttime Powder kick in and I fall asleep quickly. There is no groggy feeling in the morning like with other sleep-aids. I wake up feeling well-rested and ready to face the day. Find youtheory® Sleep Nighttime Powder on Costco.com and try all of these benefits for yourself! You don't even need to be a member to shop online. Non-members can shop at Costco.com and take advantage of special deals and special products for a small surcharge (5%). Make your bedroom an oasis for relaxation. Devices give off light which are thought to disrupt our body's sleep clock and they can be mentally distracting. Turn off the T.V., tablet, phone, and computer an hour or two before going to bed. 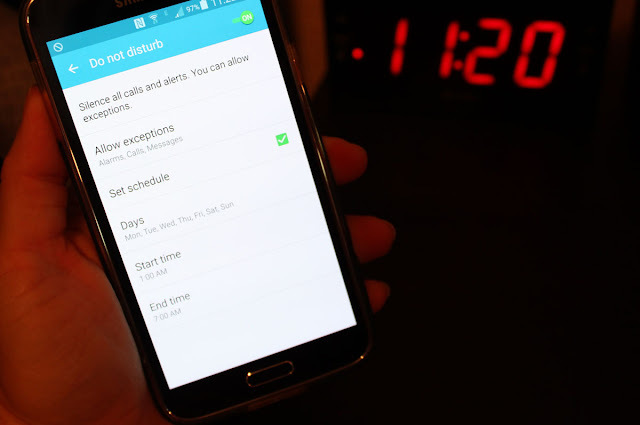 Also remember to set your phone to sleep mode to prevent being woken up at 3am by alerts you really didn't need to see. Make sure the room is dark. The darker the better. Turn off all lights and use light blocking window shades. A comfy sleep mask is also great for eliminating external light sources. 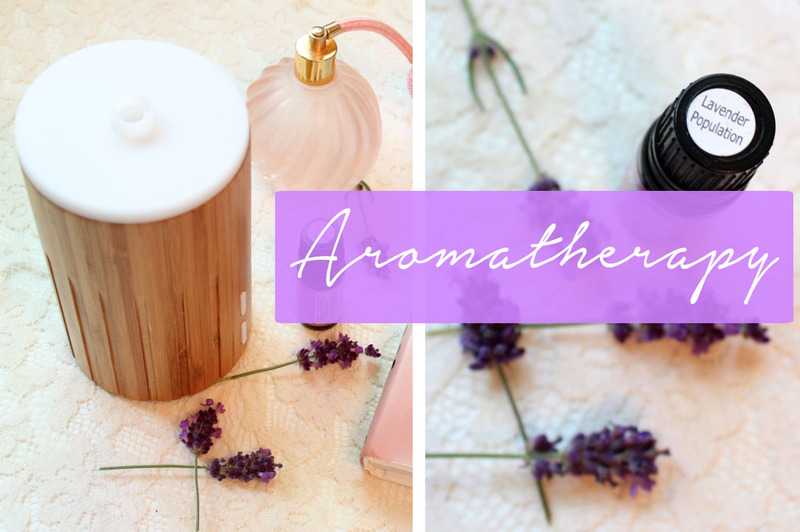 One of the most enjoyable ways to create a serene sleep environment is through aromatherapy. The fresh floral scent of lavender is widely used for its relaxing and comforting qualities. The scent of lavender encourages deep rest and relaxation making it perfect for use before bed time. It also helps ease stress and tension, all things we want to release ourselves from at the end of the day. 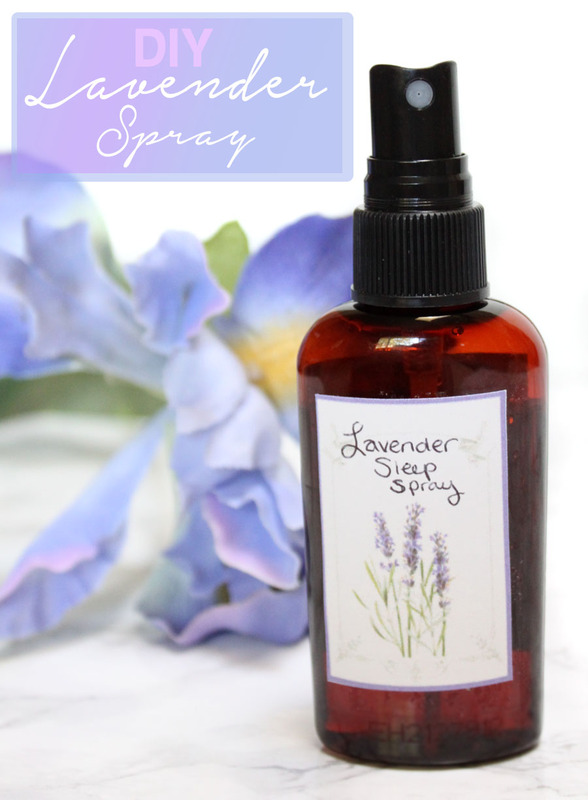 I find the scent of lavender to be so calming and soothing that I want to spray it everywhere! My new found love of lavender scented everything was causing me to spend quite a bit of money on store bought linen sprays. Now I make my own with just a few simple steps and ingredients. It is much more cost-effective, natural, and smells absolutely lovely. You won't believe how easy it is, here's how! In a jar, mix the witch hazel and Lavender Oil. Shake vigorously for 10-20 seconds. Essential oil's will not dissolve in to water on their own. The added witch hazel acts as an emulsifier mixing the oil in to the water. Add the distilled water and shake again. Pour in to a spray bottle. I like to keep a smaller 2 oz. one on my night table. If you live where there is a lot of sunlight coming in choose a darker bottle to prevent UV rays from breaking down the oil. Spritz on to pillows, sheets, a sleep mask, or in the air before bed for a more restful sleep. It is super easy yet such an effective way for creating a calming and relaxing environment. The lovely aroma of lavender will lull you in to a deep and peaceful sleep in no time. Find out more about how others are using youtheory® products and more of their benefits. What are your tips for staying well rested? Let me know!